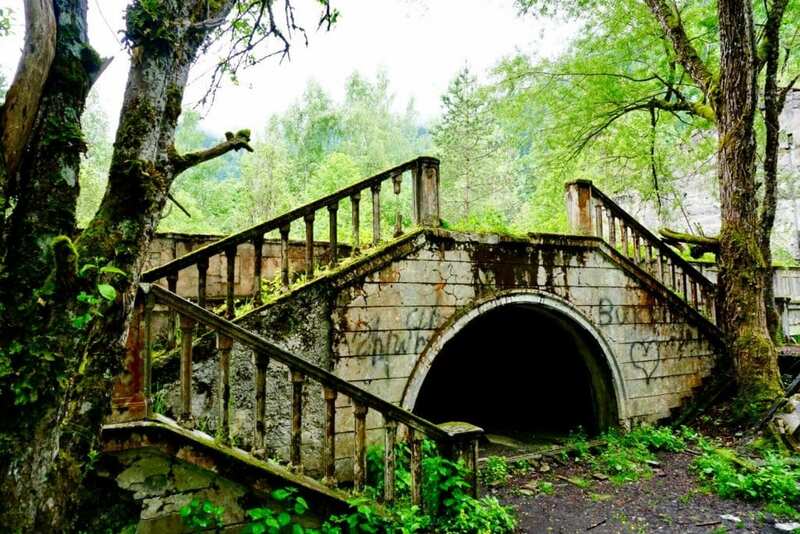 An abandoned palace near Lake Ritsa, Abkhazia. 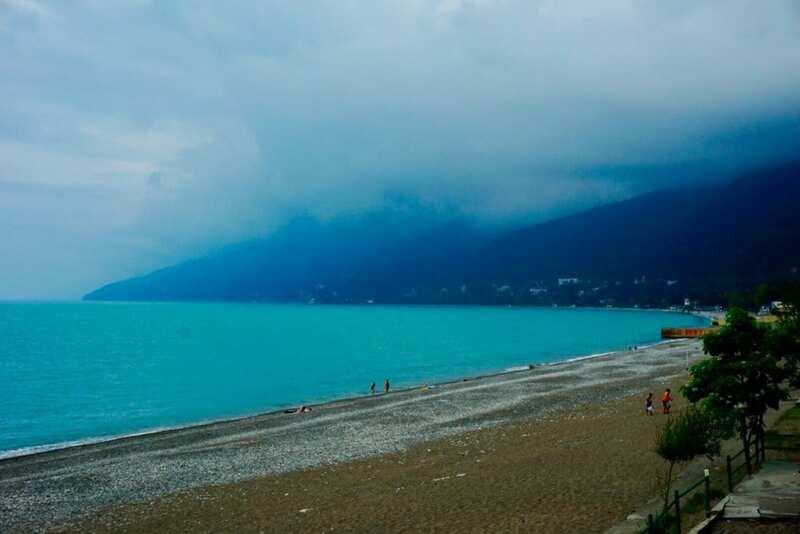 Once a summer holiday destination for Soviet Union officials, including Stalin himself, Abkhazia was plunged into violence shortly following the breakup of the USSR. 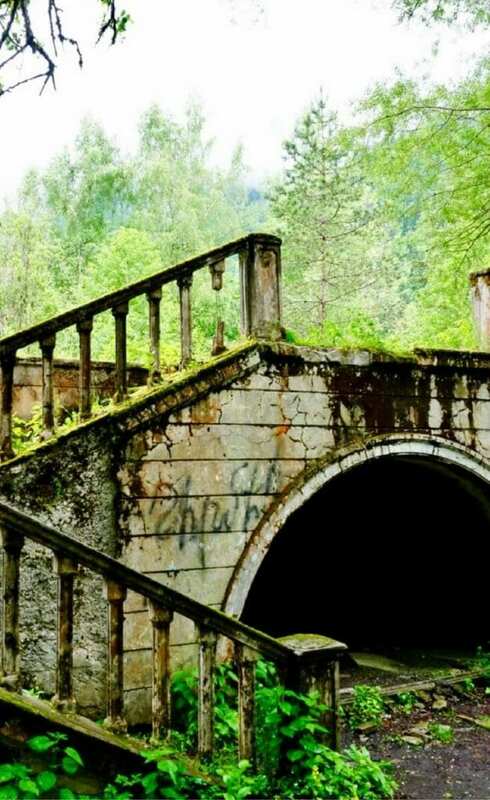 A dilapidated pier in Abkhazia’s capital, Sukhumi. 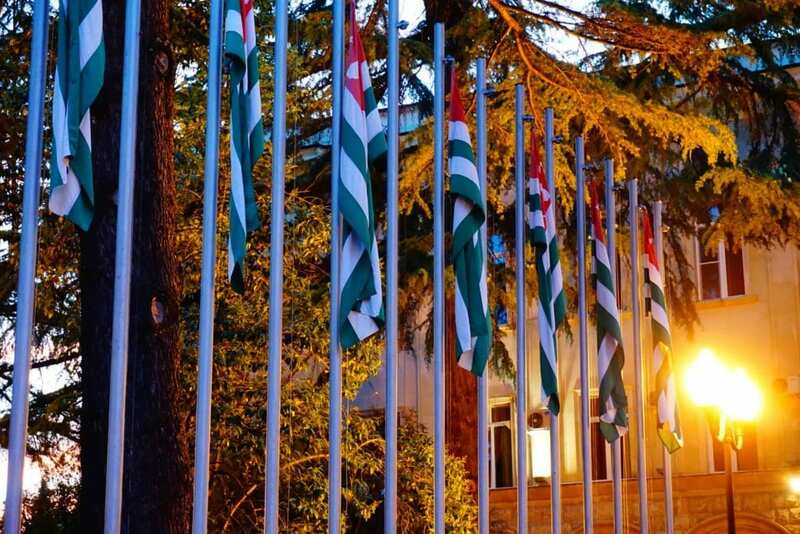 Abkhazia proclaims itself an independent nation, but almost no governments other than Russia recognize it as such. Instead, most of the international community considers it to be a part of Georgia. 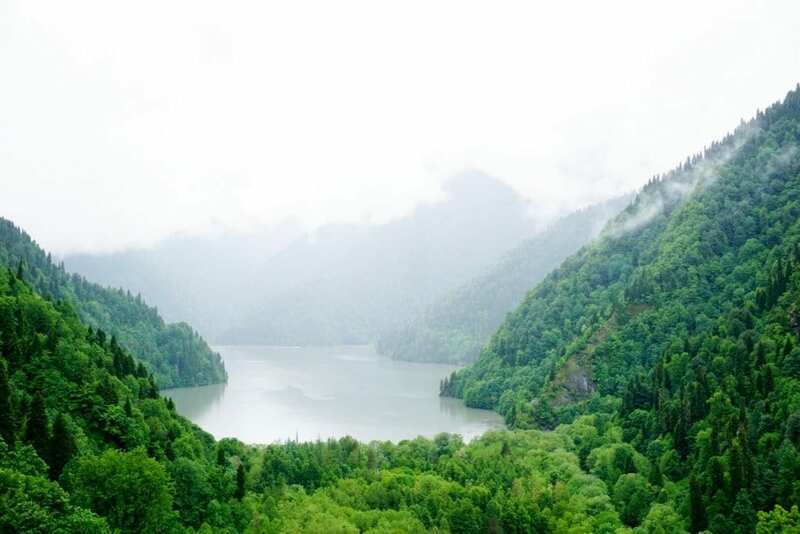 Beautiful Lake Ritsa, where Stalin had a summer home. Today, Abkhazia receives few visitors except from Russia, whose military has effective control over Abkhazia. 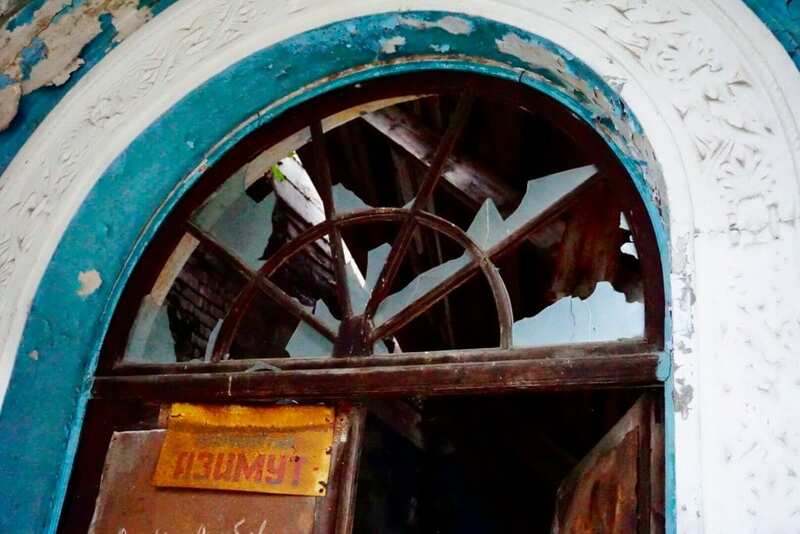 Shattered glass in an abandoned Gagra building. Abkhazia’s population was cut in half by the war, and today a great many buildings stand totally deserted. 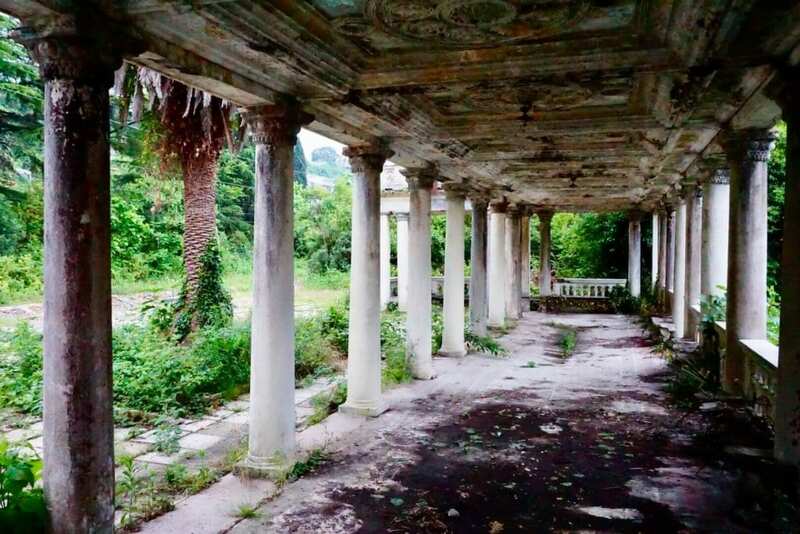 One of Gagra’s many hauntingly beautiful abandoned buildings. 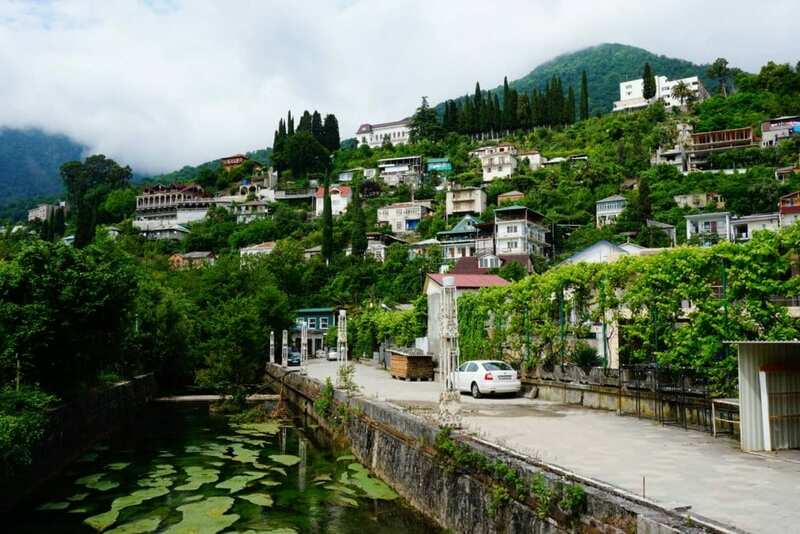 The most developed part of Abkhazia is Gagra, a former Black Sea resort town in the north that is starting to see an influx of tourists from nearby Russia. 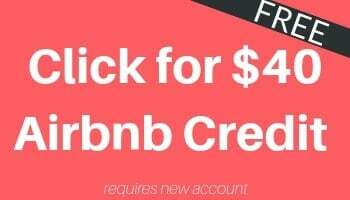 They are lured there by Abkhazia’s photogenic landscapes and affordable prices. A hillside in Gagra, a city slowly recovering its Soviet reputation as a Black Sea resort. 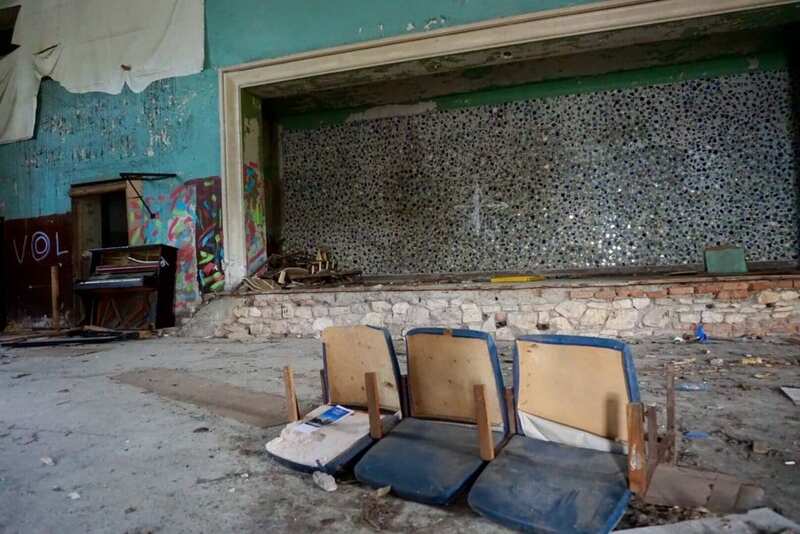 An abandoned theater in Gagra. 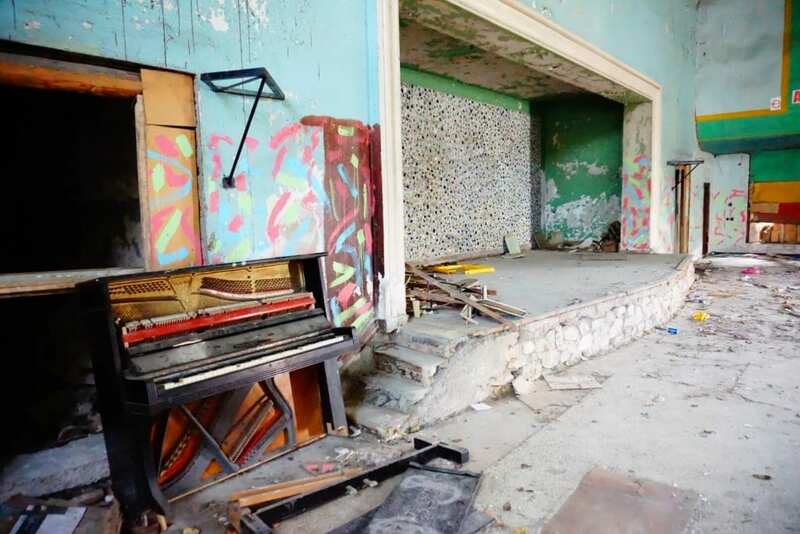 The capital city of Sukhumi is slowly developing as well, but still feels eerily vacant. Sukhumi’s renovated boardwalk at dusk. 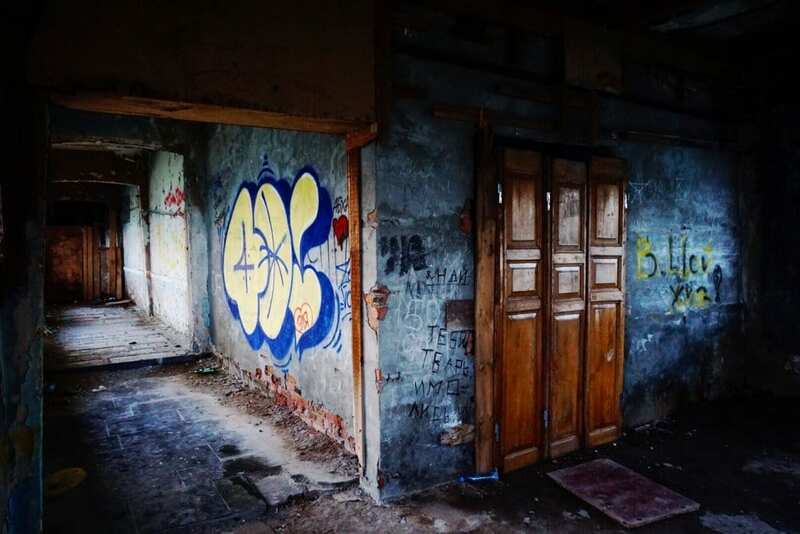 Its many abandoned buildings are covered in graffiti, gritty reminders of the area’s recent past but great material for taking interesting photographs of Abkhazia. 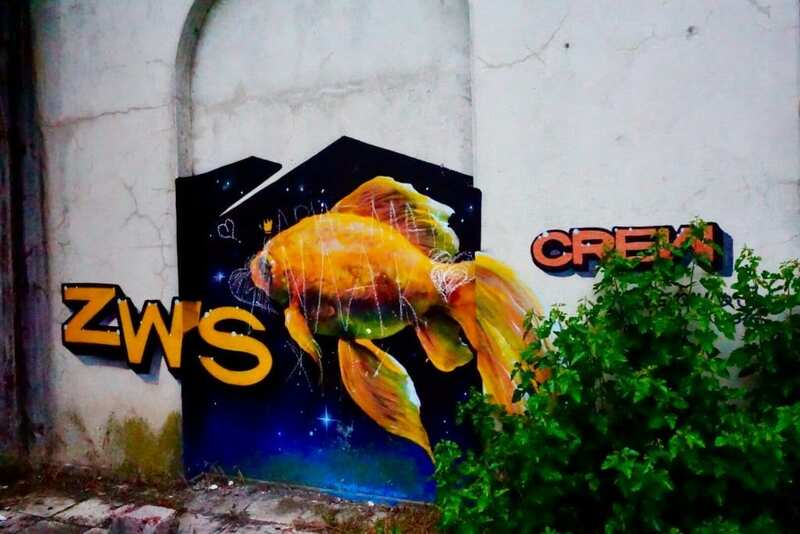 Graffiti on an abandoned Gagra building. 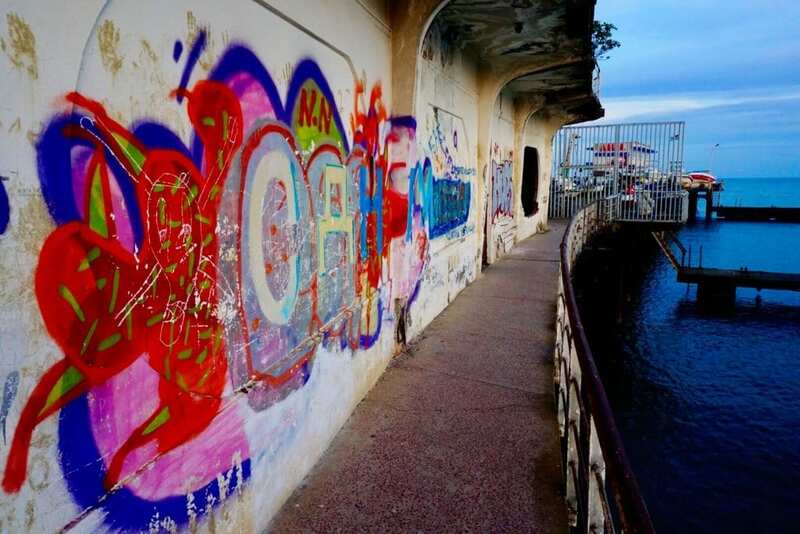 An old Soviet era pier in Sukhumi. 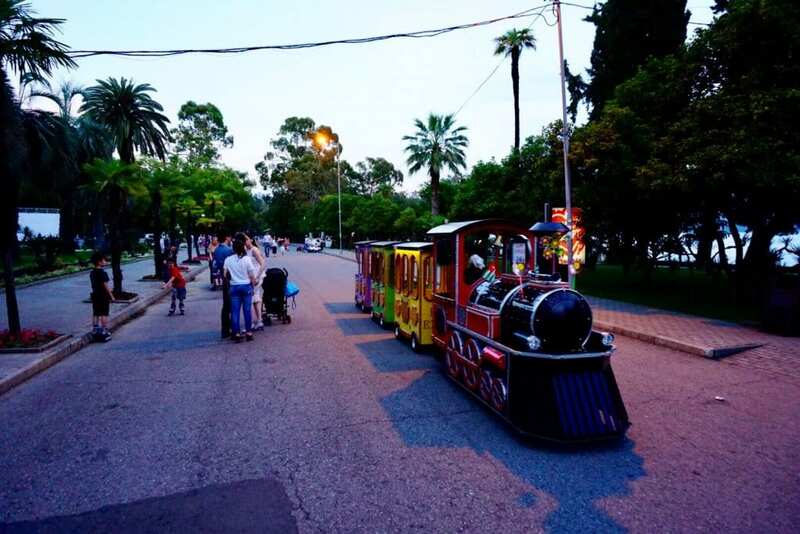 To learn more about Abkhazia, read my travel diary on what it is like to visit Abkhazia. And if you want to plan a trip yourself, check out our guide on what to do in Abkhazia. And, while you are at it, check out my list of 9 Incredible Places to See in Georgia Europe. 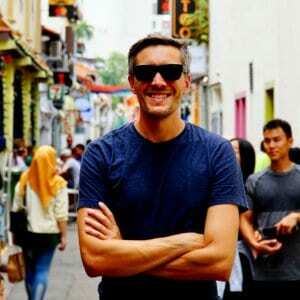 Previous Post Abkhazia Travel Diary Next Post Backpacking Iran: What’s it like?